Nothing speaks of Christmas like a Poinsettia. Unique to the season, these live plants add a fresh and bright touch to any space. 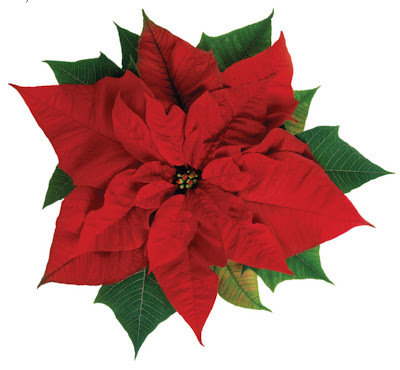 With all the varieties on the market, Poinsettia plants have a new look. They can be found in all sizes and styles including variegated bracts and curled petals. The colors are the most remarkable option of the newfangled specimens now available. White, Green, Coral, Pink, Burgundy and even combination hybrids make decorating with Poinsettias a lot less traditional. With good care, these plants can thrive throughout the season, making them a long lasting alternative to fresh flowers. Over watering is the most common mistake that is made. They simply cannot sit in a container of water. So the first thing to do is get rid of the plastic or foil wrapping. Find a fun container to fit the plastic pot it was grown in. Moss is a perfect way to hide the plastic with. A great way to water a Poinsettia is to remove the plant’s plastic pot from the decorative container. Set this in the sink, then water. It will drain easily, and you can place it back in the container. Keep Poinsettias in natural light, but away from any heat source. A small tabletop garden makes a pretty display and can be created using a 4” Poinsettia along with indoor foliage and cluster of Narcissus bulbs. Twigs will add interest and texture.Your container is the key to design when it comes to plants, keep this in mind when choosing one to suit the look you are after. If you would like a dose of bright eye candy, find your way to Quality Flowers & Plants at 1046 East and 3300 South early in the season. There is nothing quite like a sea of colorful Poinsettias to kick off the Holidays. Poinsettias are made for Christmas, and no matter how much I have enjoyed them and cared for them throughout December, after the New Year, they belong in the trash with the leftovers, and crumpled wrappings.